Read more about Yes, we want you! Pickle ball snow ball. The east court resurfacing is finished. 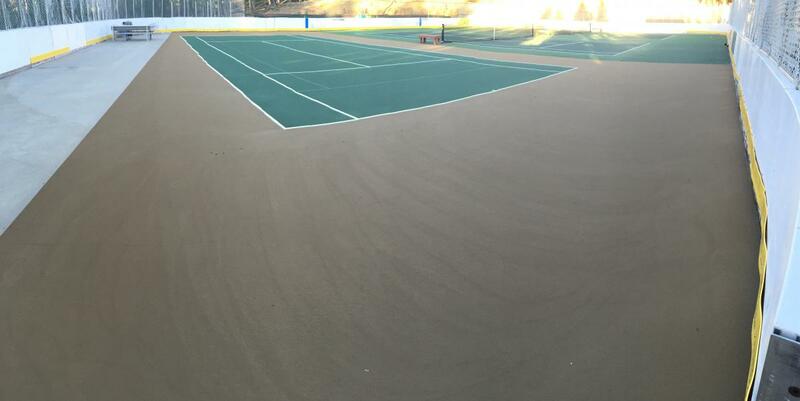 Many thanks to USTA-Colorado Adopt-A-Court grant and the Town of Nederland for matching the grant. The new color scheme was chosen to accommodate the ice season. The nets will be up soon.